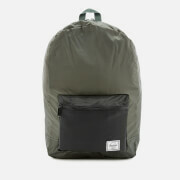 Highly practical with its down-sized silhouette, the 'Classic Mid Volume' backpack from Herschel Supply Co. is crafted from durable polyester and lined with signature coated poly fabric. In a blue colour, the rucksack features two adjustable air mesh shoulder straps, a top handle and a zipped pocket to the front for stowing away essentials. 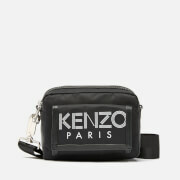 A top zip fastening conceals the spacious, candy stripe interior that houses an internal media pocket and 13" laptop sleeve. Finished with full grain leather zip pulls and a branded patch to the front pocket. Dimensions: H: 41cm x W: 28cm x D: 11cm. Dimensions: H: 41 x W: 28 x D: 11cm.